Hey kids what about a little christmas gift? It's Sunday, December 24th and on this freezy xmas eve I got the chance to listen to the new Amon Tobin album... I must admit I really don't endorse the whole xmas shebang but here I am, taking this listening session as a nothing less thand a supa-cool gift. Hum... Amon Tobin, supa-cool?? Ain't that the thing you'd rather put along with some Will Smith character or some Bart Simpson joke? Hell yeah. But what the heck - the best christmas movie ever is in my eyes Tim Burton's "The Nightmare Before Christmas", and I'm an Amon-addict ever since the second album, so this "Foley Room" one is just the perfect thing for today. Ever heard of a foley room? It's s the place where the sound effects are recorded for films. I can already hear you thinking: "so after the 'Splinter Cell' soundtrack Amon Tobin has finally found his niche is horror movies and videogames scores?". Thankfully you'd be totally wrong. This title only implies that the artist has widened up the scope of his sound, recording lotsa real-life sounds and sound effects from all over the world with high-sensivity mikes. So has he gone all minimal like a big part of the German scene? Nope. 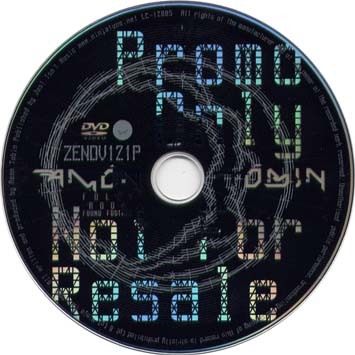 No house or techno stuff here, we stay in pure Amon Tobin soundscapes and structures. If a comparison had to be made, I'd say for example that if sound-manipulator Herbert is 10% genius and 90% rock'n'roll, then Amon Tobin prefers to stay focused on the first 10%. Take the first single, "Bloodstone", which opens the album with guests The Kronos Quartet. It feels like their tuning session is what Amon recorded, deconstructed an reconstructed in an De Vinci kind of perfectionism! The "Big Furry Head" track is another god example, with its roaring lions, melancolic strings, industrial textures and jungle sounds, all perfectly fitting together as an obvious thing you could never have thought of. Overall, the album sounds even more an otherwordly mashing-up of styles than before, with musique-concrete and drum'n'bass clashing over psychedelic effects, cinematic chords, rock riffs, hip hop and jungle beats, angelic backgrounds... the list goes on and on, but don't think for one second you'll get lost in a maze of music. This is forward-thinking at his best, with Amon Tobin pushing the boundaries of his art in uncharted territories, for his best and most consistent album yet... again! Note: There has bin many pressingplant errors along this release. 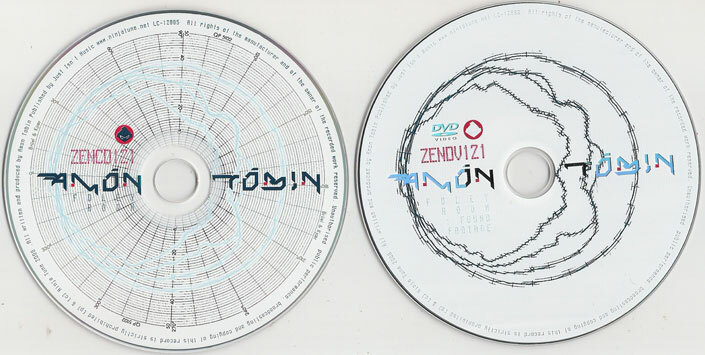 The Limited Edition with ZENCD121X tag do exsists on some of the carboard versions from UK. Thou the ltd Canadian edt cardboard version is tagged with ZENCD121. Both have the same tracklist and was supposed to be with X as limited. During more errors the art will be fairly different on several pressings and the white dvd version was also supose to be as black. The error list is long and complicated, the only thing thats for sure that the tracklist are the same on all releases. 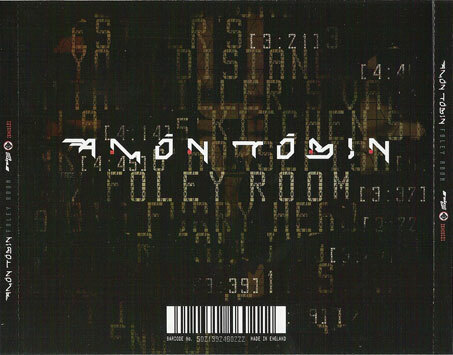 Genius of noise manipulation and uncompromising musical auteur, Amon Tobin is set to release, "Foley Room", his most conceptually satisfying and beautiful album to date. After finishing work on his soundtrack to the video game "Splinter Cell" Tobin decided it as time to re-think his compositional processes. Having made several albums from reconstructed vinyl sources it was time to look at what else could be pulled apart and reconfigured. Amon had been told about the work of foley artists and this served as an inspiration. A foley room is where the sound effects are recorded for films. Foley artists use their imagination and ingenuity to make the right noise for the situation they are presented with. With this in mind, Amon and a team of assistants headed out into the streets with high sensitivity microphones and recorded found sounds from tigers roaring to cats eating rats, from wasps to falling chickpeas, kitchen utensils to motorbikes to water dripping from a tap. Added to this were the sounds of musicians like the Kronos Quartet, Stefan Schneider and Sarah Pagé, Tobin travelling from foley rooms in Montreal to San Francisco to Seattle and back as he collected them (the CD release will be accompanied by a short DVD, "Foley Room: Found Footage", documenting the recording process). He then took this wealth of source material and twisted it round into the haunting, muscular music you can hear throughout this remarkable album. If a theme runs through "Foley Room" it is what Amon describes as "the pairing of sounds that share a sonic quality despite being otherwise unrelated". And beyond this, of course, his belief that source material is just that – a source, something to be processed, warped and manipulated until it runs beyond itself. This isn't an avant garde or deliberately obtuse record, rather a way for Tobin to freshen up his approach to music whilst tipping his cap to the musique-concrete and found sound pioneers of the past. The results are immediately apparent. There seems to be a new aural depth to the sound of the record, a living looseness despite the almost forensic way in which the music has been pieced together. In many ways it's as musical and melodic as anything he has produced. And, as ever with Tobin, there are moments of spectral oddness as well as those of sheer exhilaration. Most of all, though, there is a consistency of vision as you are dragged backward through moods and sensations which encourages you to see the record not as a collection of "tracks" but as a whole piece. 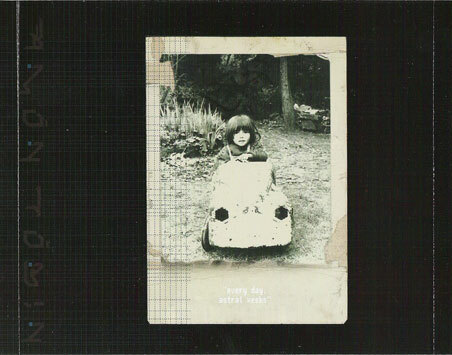 Unique and compelling, "Foley Room" is set to stand out even amongst the consistently high quality of Tobin's other output. I Want "The foley room" NOW !!! please !!! I'm just dying with anxiety, yo ninja tune folks you are really tormenting el pueblo! Nice review. Having listened just once, I have to say it's the best thing I've hear in AGES. He's retained his organic, swirling ambient sound, and hasn't fallen into the trap of making every song beat-laden. 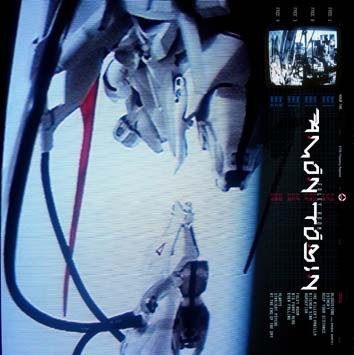 Instead, it's a more comprehensive, mature and evolved Amon Tobin, something you could put on to fall asleep to, at the same time it's occupying and exciting. It's definitly a Ninja Tune record. I can't wait for the download only package Kev was talking about, either. I had a chance to hear it as well and it is a beautiful journey of soundscapes and cinematic sounds. I'm curious what the DVD will entail!!!! This is pure genius. Amon Tobin is great. "Vanilla's The Killer" "Horsefish" and the 3 last are my faves but the whole album is mind-blowing. 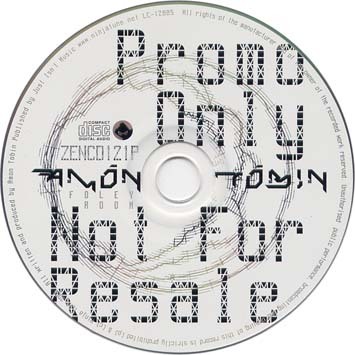 As usual, I'm late to the party - I was off in rock & hip-hop land for an extended stay - but goddamn - Every time I listen to an Amon Tobin album I haven't heard before, I'm worried he'll finally have crossed the line into predictable. Every time I'm pleasantly surprised that he's as fresh and inventive as ever.